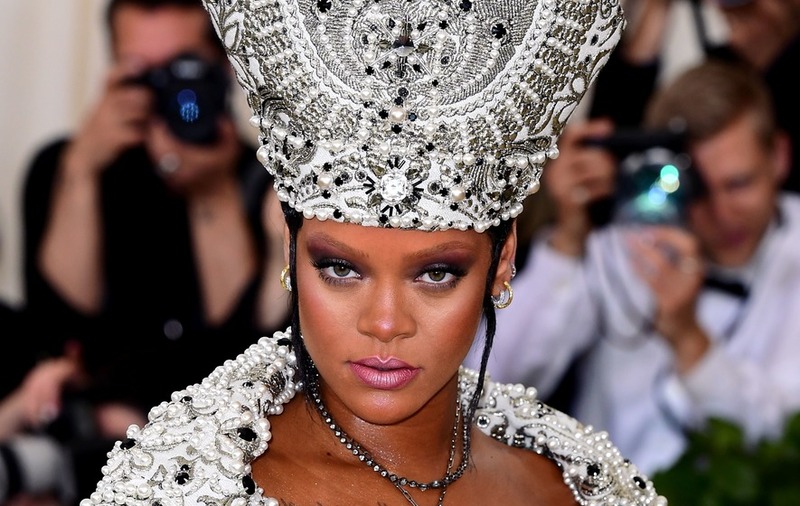 Rihanna channelled the Pope on the red carpet for this year's Met Gala. The 30-year-old singer is co-chairing the event alongside Amal Clooney, Donatella Versace and Vogue editor Anna Wintour. This year’s gala – one of the highlights of the fashion calendar – had a religious theme -Heavenly Bodies: Fashion and the Catholic Imagination. And Rihanna made the most of the theme – arriving on the red carpet dressed in a papal-inspired diamond encrusted dress complete with mitre-style hat. The outfit featured an overskirt which split to reveal a mini skirt. The stunning design – with matching jacket – came from the house of Maison Margiela. It is not the first time Rihanna’s Met Gala outfit has caused a stir. In 2015 she stole the headlines when wearing a giant, yellow, fur-lined cape on the red carpet.